This Audi S8 looks almost identical to the standard A8 upon which it’s based, with only a few very subtle changes. The front fascia is only minutely different, with a bit of an extra vent in underneath the grille. It has black side mirrors, which is actually a departure from most “S” badged Audis, which normally sport silver ones. And it has quad exhausts at the back, which is the telltale sign that this is, indeed, an Audi S8 and not just an A8 with some sort of S-Line package. It’s been caught testing on the famed Nurburgring and you can tell that, despite being an S8, it still has a bit of roll and lean. 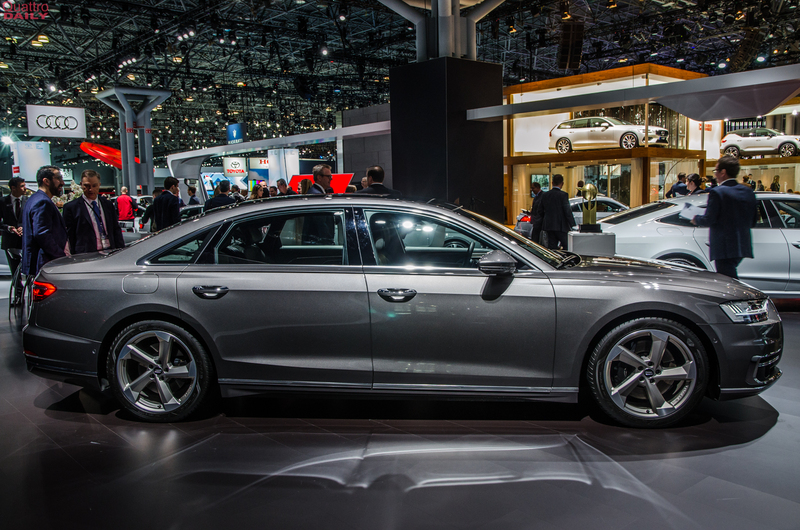 Through corners, you can see the Audi S8 leaning on its outside wheels in these photos. It does have lowered suspension, and sites noticeably lower than the standard A8, but it doesn’t seem to help keep the body roll in check. Then again, this is still a two-ton luxury sedan. So physics can only be beaten for so long. Thankfully, it also has much larger brakes to help slow things all of that mass down wen needed. We don’t know for sure what sort of powertrain the Audi S8 will have but we can venture a guess. It’s likely going to sport the same 4.0 liter twin-turbocharged V8 that you’ll find in the Porsche Panamera Turbo and make around 550 hp and 567 lb-ft of torque. It will almost certainly get an eight-speed automatic and will have Quattro all-wheel drive as standard. It will also likely get a sport rear differential and rear-wheel steering as standard. That leaves room for the Audi S8 Plus, or whatever Audi ends up calling it, which will likley make around 600 hp, as the previous one made 605 hp. 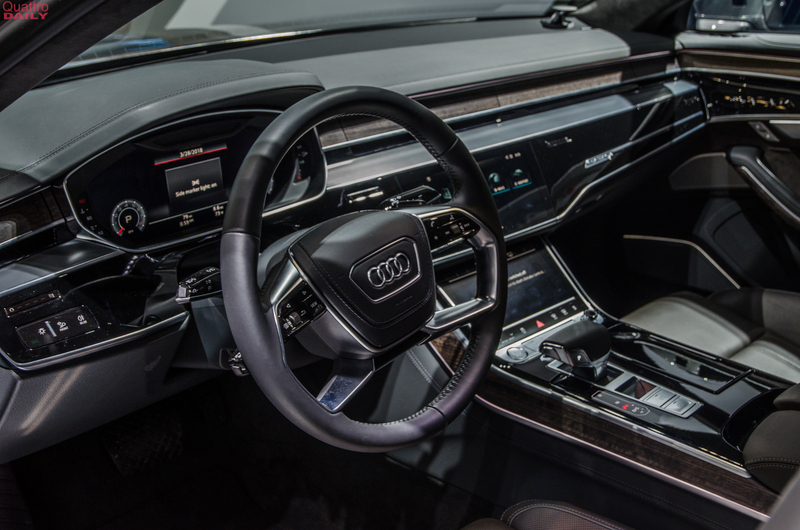 We haven’t even driven the new Audi A8 yet, so we have no way of even guessing what the S8 will drive like. Having said that, we’re excited to see what becomes of it.